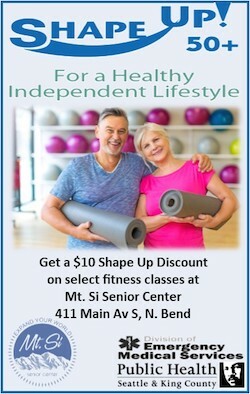 In an earlier story we told you about some fun events going on in North Bend this weekend, including a big block party and the grand opening of the North Bend Fire Station. But there’s also some fun things happening in Snoqualmie and Fall City. 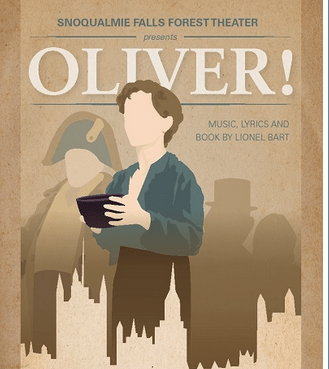 Snoqualmie Falls Forest Theater (SFFT) presents Lionel Bart’s, Oliver. Staged in the theater’s beautiful outdoor amphitheater located in Fall City, Snoqualmie Falls Forest Theater has been presenting theater on the outdoor stage for nearly 50 years. Located at the base of Snoqualmie Falls, SFFT consists of not only a theater, but also 95 acres of property with camping, hiking and fishing. There’s a lot more to this Snoqualmie Valley institution than just a theater. The weather for the opening weekend of Oliver is perfect, with sunny skies and 80 degrees predicted. Oliver is the story of a lonely orphan boy whose misadventures begin with his birth in the workhouse. After working for an undertaker and then falling in with pick-pockets and thieves, he finally finds a good home. Based on the novel Oliver Twist, this well-crafted tale brings classic Dickens characters to life, and engages everyone with its pathos & drama, as well as outstanding musical numbers. The production runs from July 20th – August 25th, with shows on Saturdays at 2PM and 7PM and Sundays at 2PM. Snoqualmie Falls Forest Theater is located at 36800 David Powell Road in Fall City, WA. For more information or to purchase tickets visit the SFFT website. Garden lovers take note. 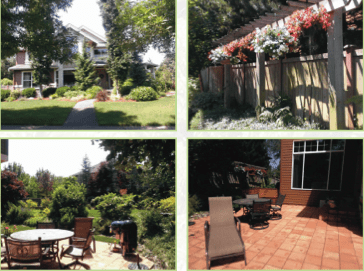 Back by popular demand is the Snoqualmie Ridge Garden Tour – Saturday, July 20th. This is always a fun event. If you’re not good at gardening, but would like to be, this is a chance to take a peak into the backyards of some gardening fanatics. Do you have one of those homes on your street? Neighbors who always have an outdoor project? Who are always coming home with more plants; constantly working in their yard? Well this is your chance to view their final products – in a perfectly acceptable manner. The Garden Tours begins at 11AM and runs through 2PM. There will even be Master Gardeners on hand at couple of this year’s garden tour homes to answer your questions. Maps to the participating homes are available online or at Snoqualmie Community Park beginning at 10:45AM on July 20, 2013.